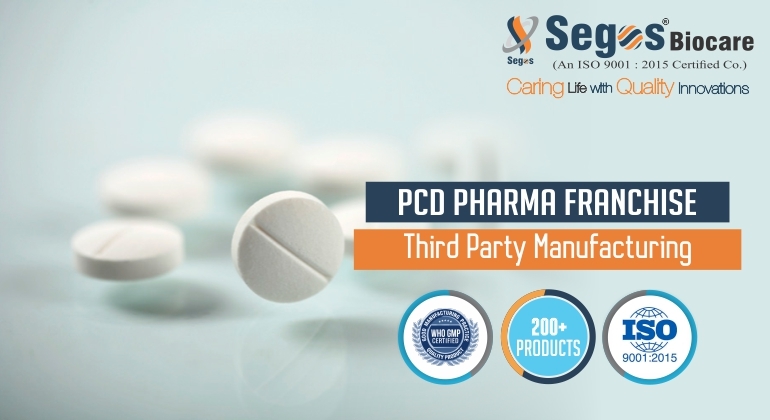 Established in the year 2014, in Chandigarh (India), we “Segos Biocare” are renowned trader and supplier of a qualitative array of Pharmaceutical Tablet, Pharmaceutical Syrup, Pharmaceutical Capsule, Pharmaceutical Injection, Pharma Franchise In Uttar Pradesh, Pharma Franchise In Kerala, Pharma Franchise In Tamil Nadu, Pharma Franchise In Rajasthan, Pharma Franchise In Madhya Pradesh, Pharmaceuticals Manufacturing, Pharmaceuticals Manufacturing Company, Pharma Franchise In Bihar, etc. Procured from the licensed vendor of the industry, the offered products are processed by our vendors using advanced technology and best quality chemical compounds in accordance with the set industry norms. We have chosen our vendor on the basis of their past records, financial condition, market reputation, product quality, processing techniques and ability to furnish large and urgent orders. We have a well-equipped warehousing unit that helps us to store the offered products in safe manner. We also accept payments through numerous options like DD, cash and cheque for clients' satisfaction.